Get your groove on at Pleasant Park. 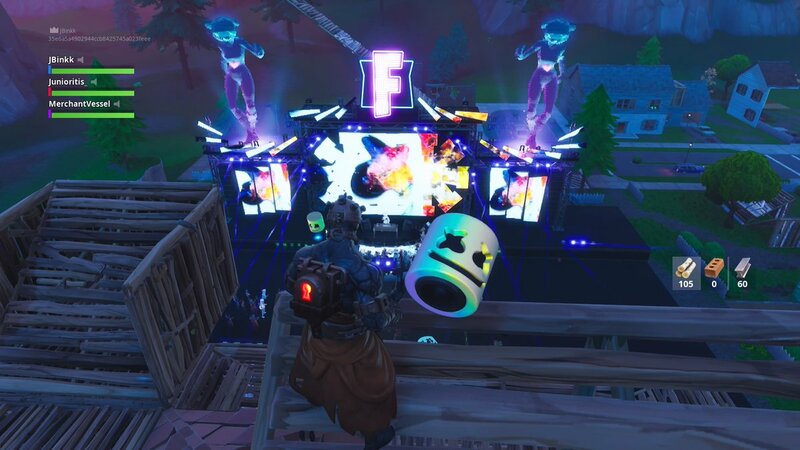 One of the biggest events of 2019 in Fortnite: Battle Royale—Marshmello’s concert at Pleasant Park—is now live. Those logging into the game recently should have seen the Showtime game mode go live—it’s the only way to play the game and access the event. 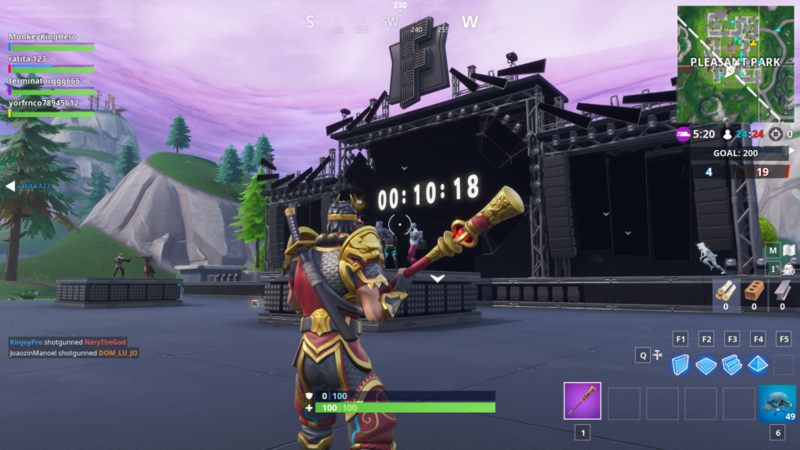 The mode forced players to go toward Pleasant Park to see a stage with a timer gradually counting down. As soon as the timer reached one minute, guns were taken away so no one could be killed. And once the timer reached zero, Marshmello rose from the stage to begin his concert. 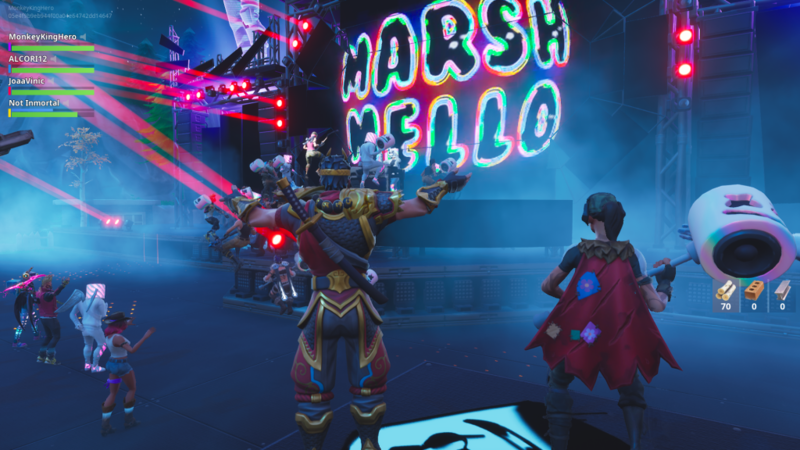 Marshmello’s live concert performance should come as no surprise to fans, however, since Epic Games and the American electronic music producer and DJ have been hyping up the event for several days. The songs being played at this show include smaller tunes from Marshmello’s extended album, which is now available to download on iTunes. There are over 20 tracks in total to listen to, with remixes from other artists like Logic and Selena Gomez. The tracks were actually leaked a few hours before the concert went live. The album became available in the iTunes store before the start of the in-game concert, giving fans a chance to listen to the tracks ahead of time instead of trying to survive long enough to enjoy the show. Before the concert ends, be sure to complete all the Showtime challenges to unlock some unique Marshmello-themed items. A Marshmello skin is also available to purchase alongside an exclusive emote and glider in the Item Shop.